Newcomer Family Obituaries - Bobby Johnson 1946 - 2019 - Newcomer Cremations, Funerals & Receptions. 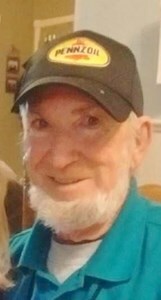 Bobby Ray Johnson, age 72 of Dayton, passed away February 8, 2019. He was born October 5, 1946 in Crossville, TN. Bobby was preceded in death by his parents: Ward Johnson and Fannie Mae Welz; wife, Pamela Johnson; and his beloved dog, Sandy. Bobby is survived by his step-father, Donald Welz; daughter: Barbara (Ken) Taylor; son, Rodney Hoskins; grandchildren: Ashley Taylor, Austin Taylor and Mindy Russo and several great-grandchildren; brother, Sam (Pat) Johnson; and best friends: Jimmy and Bea. Bobby was a former volunteer at Grandview Hospital and was an avid and current volunteer at The American Red Cross. He loved Nascar, car shows, fishing and camping. Bobby enjoyed helping others. A gathering of family and friends will take place from 10 am to 12 pm on Monday, February 18, 2019 at Newcomer North Chapel, 4104 Needmore Road. A funeral procession will leave immediately following the gathering for a graveside service at Hillgrove Cemetery, Dayton, Ohio. Donations can be made to the funeral home to help with final expenses. To share a memory of Bobby or leave a special message for his family, please click the Share Memories button above. Add your memories to the guest book of Bobby Johnson. I worked with Bobby at Grandview for many years and looked forward to seeing him at his station near the main entrance. Bobby was dedicated to serving others and very humble when praise was given back to him. He came from a generation of service and will be greatly missed. Bobby set an example to all who knew him. I will always love and miss Mr. Bobby. He was a great friend of mine for many years. He always walked up to my desk and said hello darlin?? He will be greatly missed. Bobby Johnson, A good ole boy who would go out of his way to give you the shirt off his back if he new that you needed it. A friend who worked hard for the American Red Cross. You will be missed by all who God give the blessing of knowing you and being your friend. I thank him for the honor of being your friend. I thank God for all the special times we had at the American Red Cross. May you rest in peace and our heavenly father comfort your family and be with them at this time. God's speed my friend. Bobby always had a smile on his face. He never had an unkind thing to say about anyone. He had such a wonderful spirit about him you could feel the presence of the lord around him. He was one of the kindest people I've ever met and he will be missed. RIP my friend. Bobby was always so nice when I came into work. He would always greet me with a smile. God was walking beside him for sure. Everyone that knew him thought he was great!. I will miss you so much. You were my hero in so many ways. You volunteered in my ER, you were such a cheerful helper, willing to do anything for anyone if it would help them, or make them feel a little better. You helped Dixie, Liz and me with the Dayton Horse Show First Aid Booth, and the Greek Festival, the local fairs, and other of the Kettering Health Network sponsored festivities! You made me feel good when I was down, you were always a positive voice in a negative world. In a world gone crazy, you were a voice of reason and solace. I will think of you often, and miss you always. You'll be missed more than you ever know. Our morning coffee talking about what to get into that day.Our camping and fishing trips. Our bike rides All of us Tim ,Hollywood looking for golf balls and deer.Our home projects and all the laughs we had sitting on the porch.We will cherish always are memories of our trip to Tennessee.Rest In Peace .Our dear friend . Bobby was my right hand man when it came to carrying out logistics in the Red Cross. I could always count on him to be there when I needed his help. When I would be deployed Bobby would have everything covered, I nothing to worry about. He kept me grounded when I would get upset about something and he had his way of calming me. He not only assisted in logistics but in many other areas of the Red Cross as many others can attest. He was the volunteer's volunteer, always willing to give a hand. Above all he was my friend, I will miss him and I will always have many fond memories of our times together. May the hands of God keep you safe my friend. I have known Bobby for 18 years. We always had picnics with neighbors. We went out to dinners with our neighbors. We rode bikes, went fishing and camping. He was such a fun and very helpful person. He didn't know a stranger. He is someone I will miss very much. He was such an awesome person. RIP Bobby. Love you. What an wonderful, sweet, and kind soul Bobby was. I knew whenever we worked the first aide tent at festivals, I could count on Bobby being there to help out. I loved listening to his stories of what he did for the Red Cross. I will truly miss him. RIP my dear friend. Condolences to his family. Friend, comforter, Red Cross colleague - you always knew what I needed even when it differed from my ask. You gave me 2000 cups when I asked for 1500. We served hot chocolate to 1660 young Daytonians at the UD Christmas on Campus event 12/7/2018 thanks to your vision. Thank you for your amazing gift of compassion, gratitude and spirit that lights the flame in my soul. I will carry on knowing you are always keeping an eye on me from the heavens above. May your friends and family rely on the strength of each other as we mourn your physical departure from our lives. Bobby was a very kind and hardworking man. He helped many departments with his volunteer services. He was such an outstanding human being, that many people are reminded how much he did for us all and most of all our patients. No task was too big or little for him to do. He always had a kind word for others and went out of his way to help everyone that he could.He is greatly missed! OF LAUGHS WHILE RIDDING THE BIKE PATHS BOBBY WILL BE MISSED BY MANY FRIENDS WE ALL LOVE BOBBY HE WAS THE BEST FRIEND ANYONE COULD HAVE. BOBBY IS VERY MUCH MISSED. THE BIKE PATHS WILL NOT BE THE SAME WITHOUT BOBBY. I HAVE NEVER HEARD A BAD WORD SAID ABOUT BOBBY ALL WAS GREAT. Bobby will be deeply missed by everyone at the American Red Cross. He is an example of volunteerism at its finest. I am so sorry to hear of the passing of my cousin Bobby. Such a gentle and kind man. He will definitely have many jewels in his crown, enjoy heaven, see when.